There is only one piece of antiques that you have chosen to bring back from abroad. Beautiful and unique is worth collecting! Flat / large size 89*88 cm Material / Polyester Description / Fabric with textured. 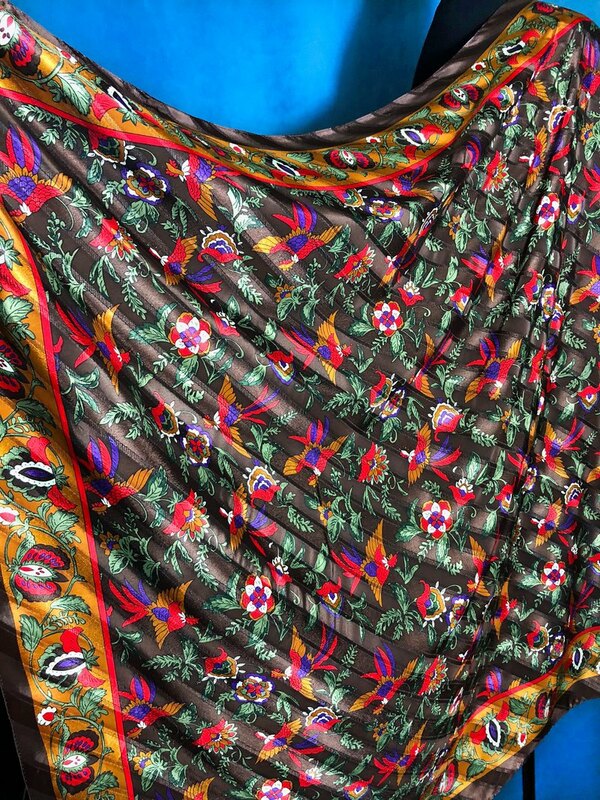 Glossy Antique scarves collected from Japan ----------------------------- The picturesque shawl is a worthwhile investment, which can greatly enhance the richness of wearing. The large shawl is also the product of the international boutique brands that have been continuously launched for many years. The level of the classics is self-evident. Casually put on the shoulders or put on the delicate knots, add retro feelings on the hair, as the belt becomes the focus of the model, in the bag presents different atmospheres.. Each one is unique, friends who like to collect do not miss !